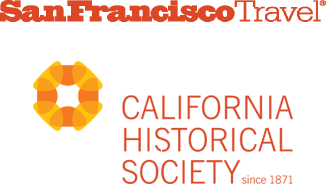 On Saturday May 13th the California Historical Society and San Francisco Travel celebrated Flowers in Your Hair Day in San Francisco. The date marked the 50th anniversary of the release of the song San Francisco (Be Sure to Wear Flowers in Your Hair), which became an anthem of the Summer of Love. Travelers at SFO were greeted with flowers, music, wax figurines of Jimi Hendrix and Jerry Garcia, and the SFO Wag Brigade. 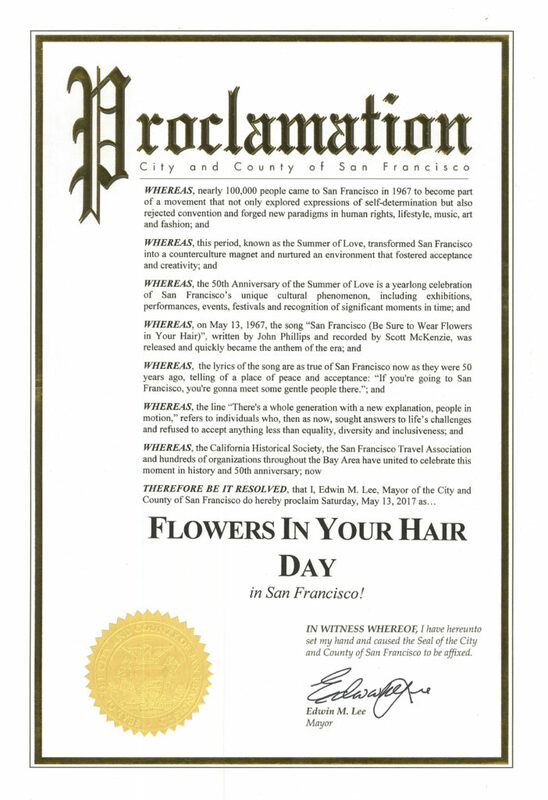 A proclamation by San Francisco Mayor Edwin M. Lee celebrated the day and was presented to Anthea M. Hartig, Executive Director of the California Historical Society, and dozens of businesses, museums, and other organizations in San Francisco distributed flowers for people to wear in their hair.